More and more big Hollywood A-listers are going Kapatid with TV5’s Sine Ko 5ingko’s string of certified blockbusters. In its first two weeks, TV5 featured film hits starring action heroes Liam Neeson and Christian Bale, as well as witty onscreen charmers Robert Downey, Jr. and Hugh Jackman. Oscar winners Charlize Theron, Halle Berry and Adrien Brody also graced the Filipino small screen through Sine Ko 5ingko with their performances on Hancock, Swordfish and King Kong, respectively. Whoever thought it was impossible to bring together in ONE Filipino television channel will be in for a treat as TV5 continues to deliver some of the most popular movies every day of the week. 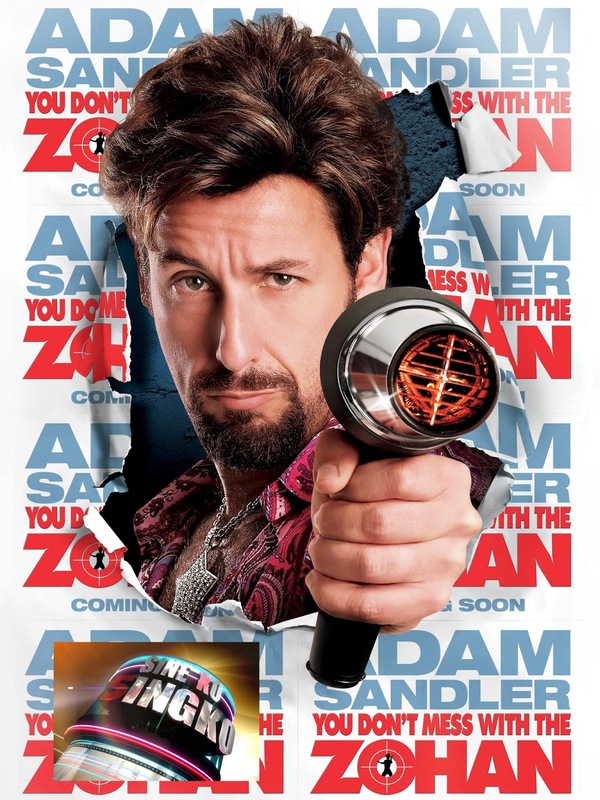 This week, Sine Ko 5ingko presents the Philippine TV premiere of You Don’t Mess with the Zohan. The young and the young-at-heart will be in for a treat as Sandler plays a top Israeli spy living his dream of being a hairstylist in America. How long will it take until his past catches up to him? Aside from his trademark comedic style, Sandler puts on his writer cap for this light comedy, which also stars Filipino-American actor Rob Schneider. You Don’t Mess with the Zohan premieres on Sine Ko 5ingko this Friday, March 22, at 3:30PM only on TV5.